Little Pied Cormorant Microcarbo melanoleucos, also called a 'Shag. Picture by A J Guesdon, 2012. 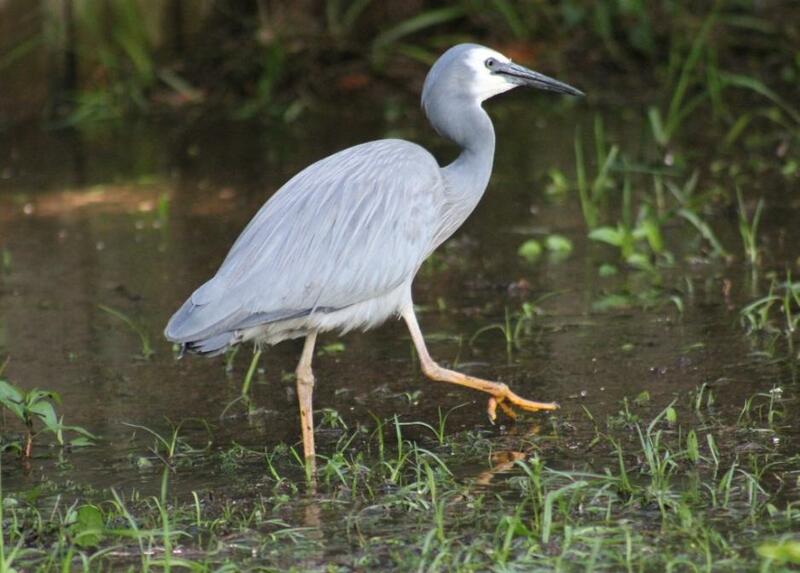 Ocean birds form a large part of life in Pittwater. Surfing with little penguins swimming nearby, white faced herons eyeing you as they fish in the shallows, sea eagles gliding slow circles above while deciding if you’re food are sights and experiences you could never take for granted. This Friday, June 8th, is World Ocean’s Day with a theme this year of Youth: the Next Wave for Change with the added message that ‘the future is in our children’s hands’. It’s also in ours, right here, right now. One of the biggest threats to our sea birds is our rubbish, particularly fishing lines and hooks left on rocks, plastics and shining packaging that may look like fish when you’re underwater and pouring chemicals down the drain. Since there’s 35 000 of us in Pittwater, if we all pick up one piece of this during the coming week we’ll all be doffing our caps to these fellow residents and having a bonus, perhaps unseen, Ocean Day Celebration. About our little feathered friend; the Little Pied Cormorant Microcarbo melanoleucos, also called a 'Shag', is entirely black above and white below. The face is dusky and, in adult birds, the white of the underside extends to above the eye. Immature birds resemble the adults except there is no white above the eye. The Little Pied Cormorant was originally described by French naturalist Louis Jean Pierre Vieillot in 1817. Its specific epithet is derived from the Ancient Greek words melano- "black", and leukos "white”. Little Pied Cormorants are benthic feeders, (they find prey on the sea floor.) It is a solitary feeder, normally diving in relatively shallow water close to shore. Dive times are short, around 15 to 20 seconds, with recovery times on the surface of 5 to 10 seconds unless prey are being swallowed. They consume a variety of fish and a high proportion (nearly 30% by weight on average) of crustaceans form part of their diet during the winter months. This one may well be resting from a lunch crab feast. Cormorants do not have oils in their feathers and must spend time drying themselves after each feed. Their size range is 50 cm to 66 cm. They are found throughout Australia and are quite social, readily mixing with the similarly proportioned Little Black Cormorant, P. sulcirostris as well as their fellow Little Pied cormorants. Spring and Summer are their love months and they make a low cooing during courtship. They breed more commonly in colonies although single pairs are not unknown. Their nests are flat platforms of sticks lined with fresh green leaves and usually placed in a tree. Both adults share in egg incubation and care of the young. Their clutch size is usually 3-4 young and chicks have dark brown down, with pied morph having patches of paler down. 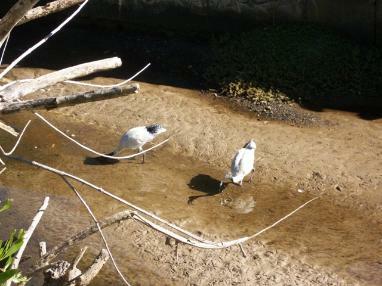 Immature birds are a dull blackish brown, with pied morph birds having paler underparts. It is thought that the cormorants have been around since the time of the dinosaurs. The Gansus yumenensis, the earliest modern bird, shared many characteristics with the cormorant. The exact evolution of the cormorant is unknown but it is thought they come from somewhere around the Indian Ocean. Their closest relatives are the darters, boobies and gannets. Some fossils from the Late Cretaceous period are believed to be from the cormorant family. Cormorants have been used as symbols of nobility, indulgence, and in more modern times a totem for fishermen and a bountiful catch. 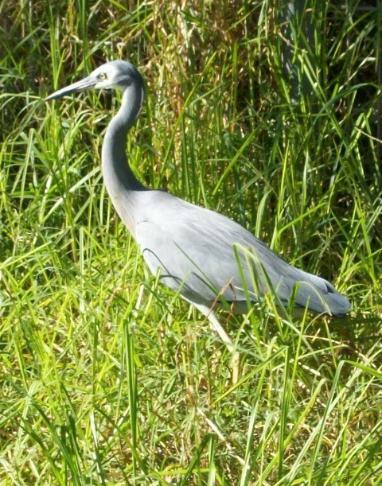 Intelligent and amiable birds, they have been trained in Japan and China to fish. 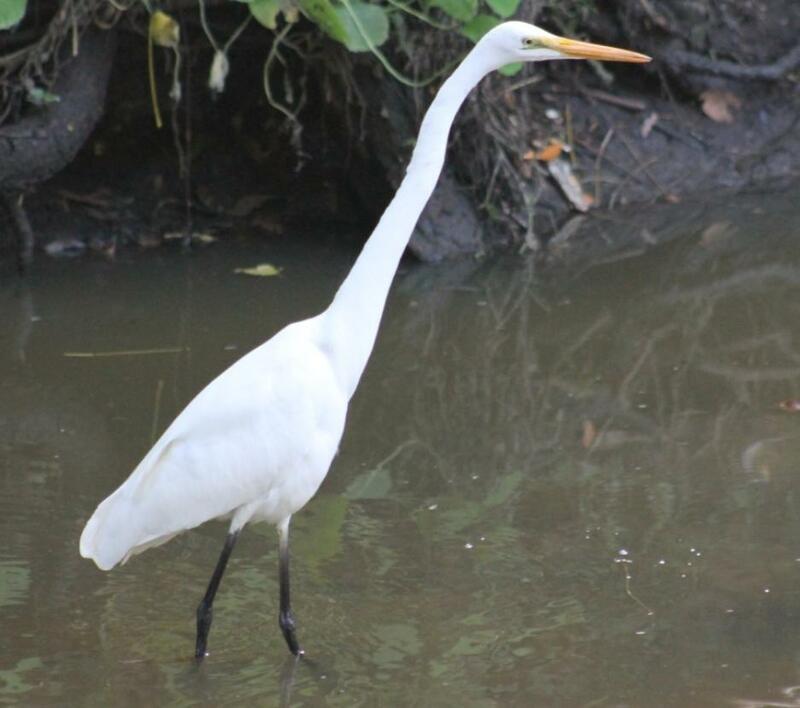 A metal ring is placed around their necks to prevent them from swallowing their catch, some sources stating when a fish is too large for one bird another will help it to carry it back to the boat. The Liver (Cormorant): Liver, a fabulous bird, supposed to have given its name to Liverpool and commemorated in the arms of that city. It is traditionally described as a bird that frequented the pool, near which the town was afterwards founded. The arms granted in 1797 are thus blazoned: Argent a cormorant, in the beak a branch of seaweed all proper, and for crest, on a wreath of the colours, a cormorant, the wings elevated, in the beak a branch of Laver proper. It is more than probable that the bird on the arms suggested the name "Liver" being applied to it. On the shield the bird is always depicted with the wings close, and on the crest the wings are elevated. ( Fictitious and Symbolic Creatures in Art, by John Vinycomb, . ) 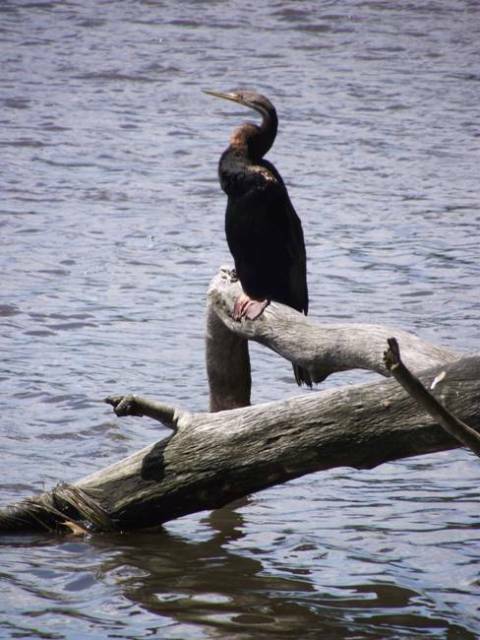 To Shamans and those attuned to animal symbolism the appearance of a cormorant signifies a new teaching or a new opportunity that will enable us to accomplish what didn't seem possible. Their ability to dive right in defines ‘fearlessness’. 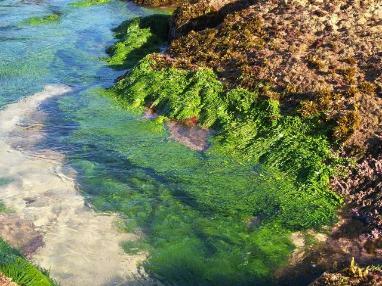 Pittwater Councils Coastal Environment Center is showing ‘Bag It’ for free on World Oceans Day, a documentary about how we are destroying our oceans and all in and connected to them through a plastic tide. Croxall, J. P., Butchart S. H. M., Lascelles, B., Stattersfield A. J., Sullivan B., Symes, A. and Taylor, P. (2012) Seabird conservation status, threats and priority actions: a global assessment. Bird Conserv. Int. 22:1–34. 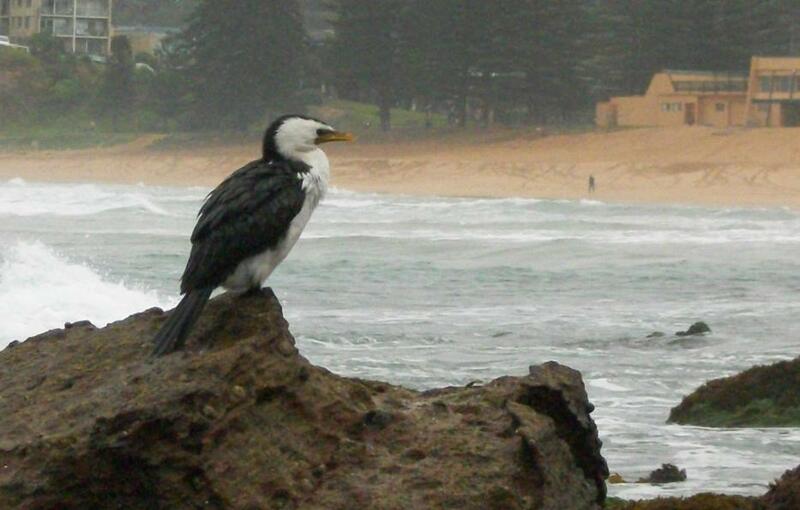 The Birds: Top (the Big One) Little Pied Cormorant Microcarbo melanoleucos, also called a 'Shag. Left: (top) White Faced Heron Egretta novaehollandiae, Then: Anhinga Anhinga anhinga, sometimes called Snakebird, Darter: uses its beak like a spear, jabbing the fish into its side, then it lifts its head and neck out of the water, tosses the fish into the air and swallows it head first and Below this: Australian White Ibis Threskiornis molucca and at Base: Eastern Great Egret Ardea alba modesta; a white heron. Pictures by A J Guesdon, 2012.